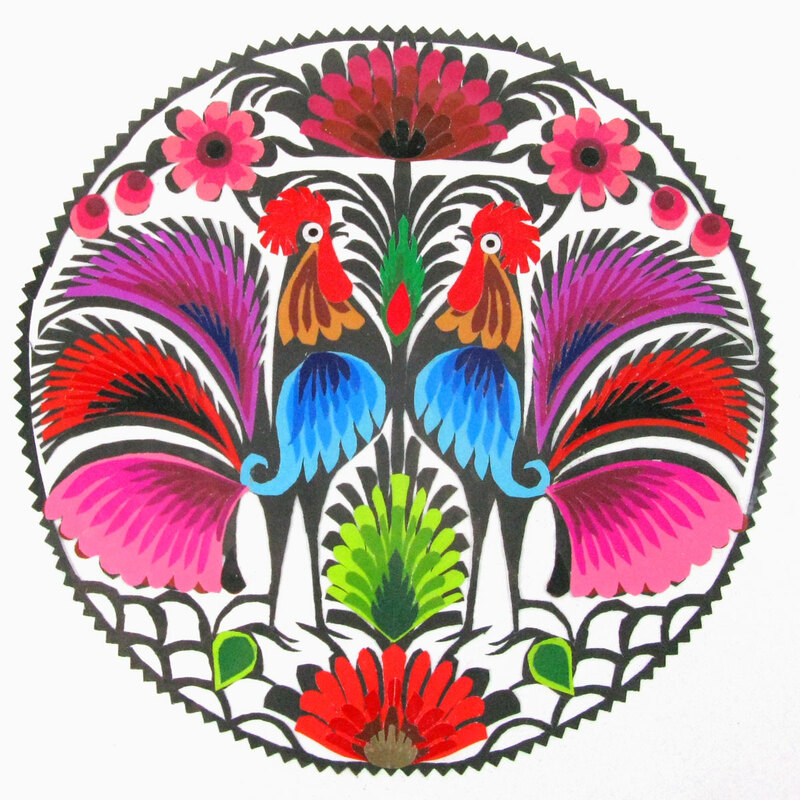 A colourful papercut of two cockerels surrounded by flowers in mainly pinks and reds. 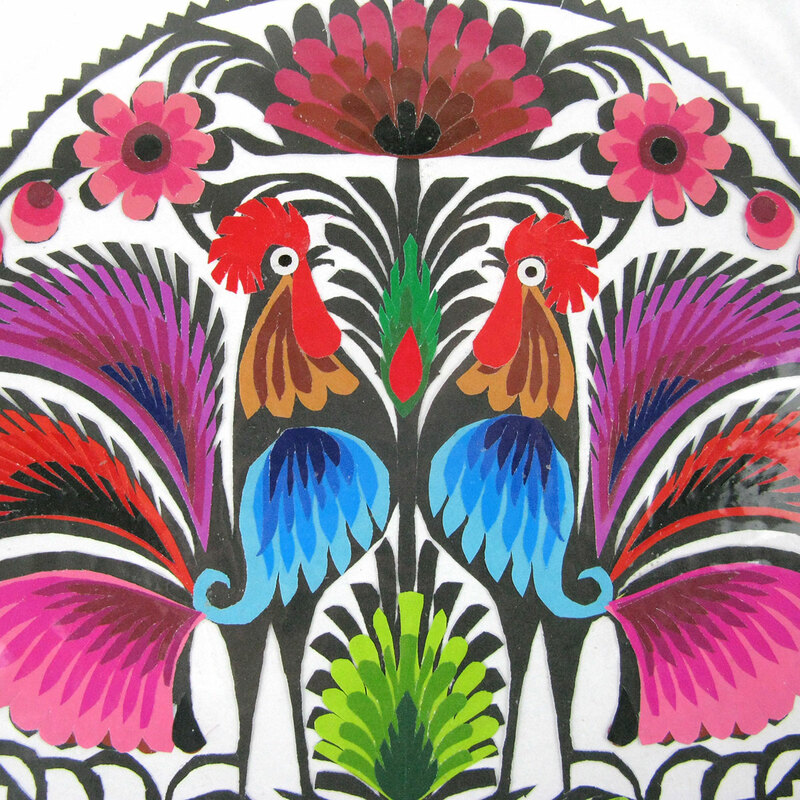 A colourful papercut of two cockerels surrounded by flowers in mainly pinks and reds. 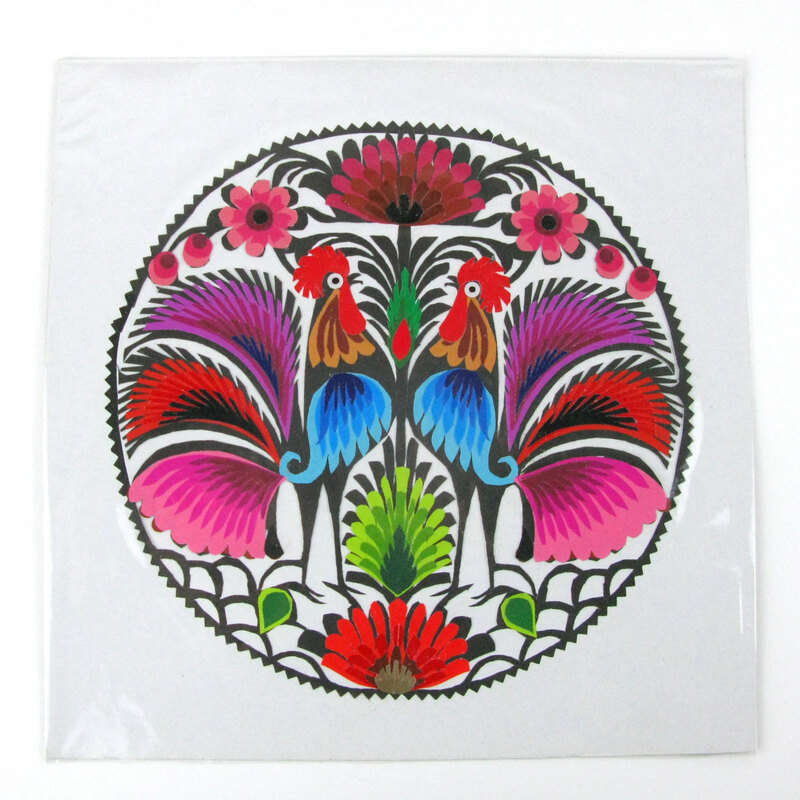 Each one is handmade and unique. Cockerels are supposed to be good luck in kitchens!